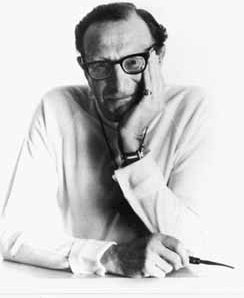 Eric Berne, FounderFor more comprehensive descriptions of Transactional Analysis theory and practice you can also purchase Therapeutic Journey, Practice and Life. 2005, TA Press, Oakland California by James Allen M.D. or you can read or download: “A Summary of Transactional Analysis Concepts I Use” by Fanita English (click here) and “Transactional Analysis; An Elegant Theory and Practice” by Claude Steiner PhD. (click here). “I’m OK – You’re OK” is probably the best-known expression of the purpose of transactional analysis: to establish and reinforce the position that recognizes the value and worth of every person. Transactional analysts regard people as basically “OK” and thus capable of change, growth, and healthy interactions. Berne observed that people need strokes, the units of interpersonal recognition, to survive and thrive. Understanding how people give and receive positive and negative strokes and changing unhealthy patterns of stroking are powerful aspects of work in transactional analysis. Eric Berne made complex interpersonal transactions understandable when he recognized that the human personality is made up of three “ego states”. Each ego state is an entire system of thoughts, feelings, and behaviors from which we interact with one another. The Parent, Adult and Child ego states and the interaction between them form the foundation of transactional analysis theory. These concepts have spread into many areas of therapy, education, and consulting as practiced today. Transactions refer to the communication exchanges between people. Transactional analysts are trained to recognize which ego states people are transacting from and to follow the transactional sequences so they can intervene and improve the quality and effectiveness of communication. Berne defined certain socially dysfunctional behavioral patterns as “games.” These repetitive, devious transactions are principally intended to obtain strokes but instead they reinforce negative feelings and self-concepts, and mask the direct expression of thoughts and emotions. Berne tagged these games with such instantly recognizable names as “Why Don’t You, Yes But,” “Now I’ve Got You, You SOB,” and “I’m Only Trying to Help You.” Berne’s book Games People Play achieved wide popular success in the early 60’s. Eric Berne proposed that dysfunctional behavior is the result of self-limiting decisions made in childhood in the interest of survival. Such decisions culminate in what Berne called the “life script,” the pre-conscious life plan that governs the way life is lived out. Changing the life script is the aim of transactional analysis psychotherapy. 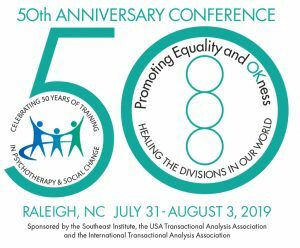 Replacing violent organizational or societal scripting with cooperative non-violent behavior is the aim of other applications of transactional analysis. 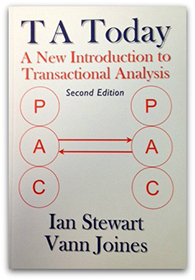 Transactional analysis practice is based upon mutual contracting for change. Transactional analysts view people as capable of deciding what they want for their lives. Accordingly transactional analysis does its work on a contractual basis between the client and the therapist, educator, or consultant.